Partner Peter S. Trentacoste has been with the firm since 2005. Mr. Trentacoste specializes in the areas of municipal law, zoning law, SEQRA, civil litigation, tax certiorari and appellate practice. 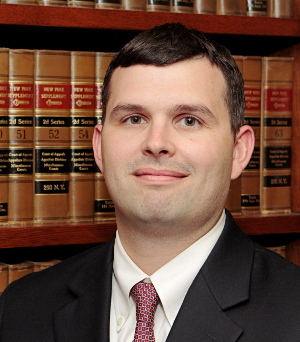 Mr. Trentacoste has developed substantial expertise in all areas of municipal law, and advocates for his clients before various administrative boards, as well as in local justice courts, state courts and federal courts.